Lambeth council’s planning committee last night approved plans for the redevelopment of Brixton’s historic railway arches. 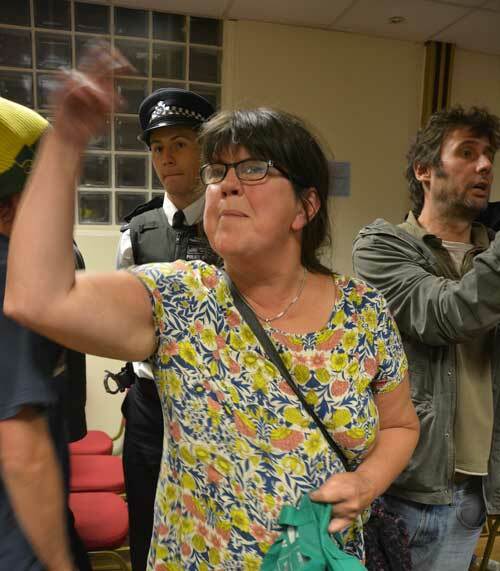 Councillor Clair Wilcox, chair of the committee, repeatedly told protesters at the meeting that the issues they were raising formally and in increasingly angry interruptions were outside the remit of the meeting. Much of the anger was directed at two representatives of Network Rail, the owners of the arches, who were repeatedly challenged to explain why the company’s consultation on the development had referred only to “refurbishment” when wholesale redevelopment was the issue before the committee. Riccardo Festa, who has run The Baron men’s clothes shop on Atlantic Road for more than 30 years, told the Blog earlier this year that the 20-year leases of many of the existing tenants of the arches could be ended for only two reasons: structural repair or regeneration. 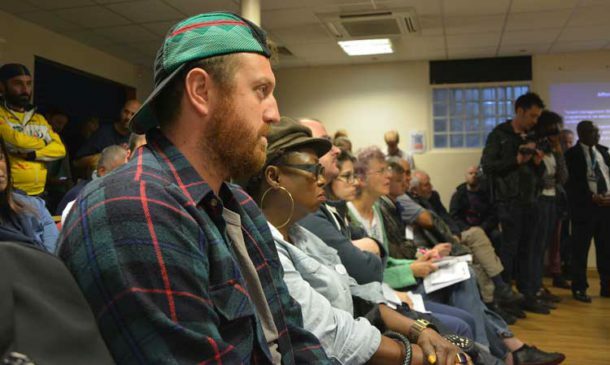 Councillor members of the committee raised a number of issues and one of them, Jo Simpson, who represents Prince’s ward which covers parts of Vauxhall and Kennington, voted against granting conditional permission as the council’s officers had recommended. 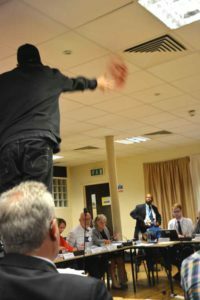 As the meeting ended, rapper Potent Whisper, founder of Our Brixton, appearing as a formal objector under his actual name of Georgie Stephanou, leapt onto a desk and scattered sparkling red dust to represent the “blood” of Brixton that was being shed. He also led a protest outside the meeting at the Karibu Centre. Another formal objector was local MP Helen Hayes (Dulwich and West Norwood). 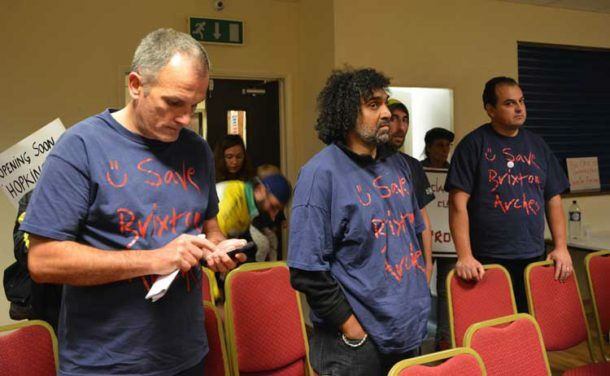 After the meeting, she issued a statement repeating her charge that: “Network Rail has, for a long period of time, not been a responsible landlord”. While, she said, no-one disputed the need for significant work on the arches, she remained concerned about a number of aspects of the planning application. “The Brixton railway arches are home to approximately 50 businesses in my constituency, and support approximately 150 full and part time jobs,” she said. Most of the businesses had been in the arches for a long time and owners and staff were drawn from diverse backgrounds. 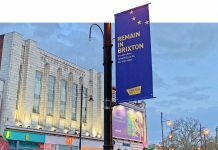 “The arches are integral to the identity of Brixton town centre, the businesses serve our area extremely well, and they are a key part of the community in Brixton,” said the MP. But many of them had told her of having had a very poor response when they had contacted Network Rail about leaks, blocked drains, infestations and other problems, and many had had to pay themselves to have urgent repairs completed which Network Rail was responsible for. “I would like to place on record how regrettable it is that this historic neglect has now led to a situation where such major works are necessary, apparently requiring vacant possession of the arches,” said the MP. Further protection should be provided to businesses in the arches that do not rent their premises directly from Network Rail but sub-let from actual tenants. Such businesses “make a major contribution to the character and quality of Brixton town centre”. 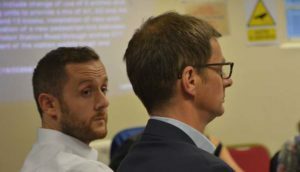 The committee agreed a series of suggestions for advisory notes and conditions connected to the granting of planning permission that were summarised by Cllr Wilcox and will be drafted formally by council officers. There should be specific planning for what to do if the work overruns the year that has been set aside for it to lessen the impact on business that are not able to resume trading. 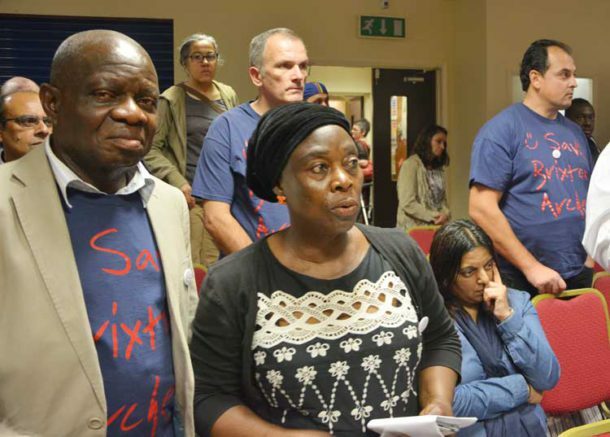 A council spokesman said: “The conditions imposed in approving this application reflect Lambeth council’s commitment to retaining independent, local businesses that are such an integral part of Brixton. “The council has worked very hard with Network Rail and tenants to reach an agreement on stepped rents making it more attractive for the 75% of businesses who want to return. Peter, you’ve got it spot on mate, the arches and the whole of Railton Road need a complete face lift, yes it’s a shame that the traders have to move out for year, and I do feel for them, but when it’s all completed it will look great, unfortunately there are always people who are quite happy living in squalor. The beauty of a nice environment is that in encourages people to keep it nice. Roll on the development, I can’t wait for it to be completed, ohhhh and roll on Oval Theatre and the whole of the Somerleyton Road development. I agree with you petermbr. My story is similar – I bought a house on a street very close to central Brixton 30+ years ago. Before the millennium Brixton was crime-ridden, run-down and dirty. People thought I was nuts to live here. They were right. Within a month of moving in, my motorbike was torched in the front garden, scorching the front of the house, the heat of the fire cracking the windows. We were burgled twice, and another time “steamed” by a gang of 15-20 youths who ransacked the house while we were there. One Friday night in 1988, as I was buying my chips on Coldharbour Lane, I watched from across the road, as one man shot another in the head point blank. And the 1985 and 1995 riots were no picnic either. So you know what ? I’m glad those days are over. I’m pleased to see Brixton’s demographic growing more diverse, businesses thriving and the built environment improving. There still does exist a shrill clique of Social Justice Warriors – best observed in their natural habitat, the virtue-signalling circle jerk that is Urban75 – who would like to live in Clash song, but they are ageing out. Regeneration is here to stay, and I for one applaud it. News flash – Brixton has always been diverse from its Irish community, white working and lower middle class English community, to the Windrush generation from the West Indies and their children, grandchildren and great grandchildren, its large West African and Asian contingent and, last but by no means, its Spanish, Portuguese and Brazilian communities. I’m glad as you are that crime rates in Brixton have dropped, but it’s ridiculous to conflate that with Arches tenants (who are a diverse group) taking on Network Rail over closures of their businesses and loss of their livelihood. Just like you they have lived in Brixton for a long time & have been a credit to the community. 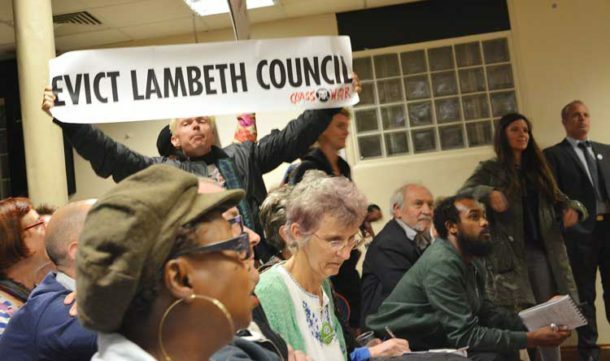 They deserve better than the shabby treatment they are getting from Lambeth Council. When I arrived in Brixton 25 years ago it was awful. No-one wanted to live here, muggings and burglaries were commonplace. Shops were shoddy and cab drivers wouldn’t even go to Brixton. As a gay man I was routinely homophobically abused (batty this, batty that) – but I am made of sterner stuff and stuck it out. Now (through hard work and getting my head down) I have paid off my mortgage on my flat (100% mortgage, no-one gave me a lift up) and have watched Brixton get cleaner, friendlier, safer, more modern, with every year. That has all been due to people like me moving into the borough, doing up their houses and making streets look attractive – yes, caring for the community you live in. So this is what everyone is moaning about: Gentrification – yes that bad thing that makes streets look like people actually care, new shops, restaurants and chains that attract people and tourists into the area to bring money in (and also hard working upwardly mobile young people with young families who also regenerate houses and make the place look even better) – oh how bad all that is… And then on the other side of the fence we have the Brixton radical moaning massive. Yes a band of people who think that working to own your own house is somehow selling your soul to the devil. A people who think that Brixton Police Station is some type of Stasi HQ full of very bad racist white men who can’t wait to suffocate the next black man on the pavement. A people who think that a hotel chain opening in the centre of Brixton is all corporate greed (rather than thinking that said hotel will invariably have guests every weekend who will go out in Brixton and put cash in a Brixton pub’s till). A people that think they would rather Brixton market looked like some Nairobi slum market rather than a vibrant modern clean place comparable to Hoxton. Yes, light up another big joint and moan moan moan about how you have been hard done by and victimised (yet have done nothing to better your own life), carry on passing on the acidic myth to your children that all Police hate you and that everyone from Eton are the only people that get good jobs. Nothing will stop Brixton improving, because positivism will always win. When I get up in the morning now and look down my street and see all the fantastic planters full of blooming flowers (that we as a street have planted to improve our environment) and I think back to 20 years ago when all I would do is pick up Malt bottles and Guinness cans and put them in the bins, I am GLAD, glad it’s changing, and we will win so get used to it. I have to screenshot this because it so articulately sums up exactly how I feel too. Thank you Peter! As someone in a similar position I agree; when the area improved in the past 10 years or so, too many people were unable or unwilling to raise their game. One example. I have no doubt that the lack of maintenance by Network Rail was real, and that it was covered contractually. Why did people not band together, instruct a lawyer and force improvements to be done, rather than try to do them themselves or wait until the situation was so bad major repairs were required? Wasn’t room for it in report, but Network Rail said they had no idea whether major structural repairs were necessary or not. They assumed their engineers would have told them if they were. Their claims that full inspections of the arches were carried out annually were greeted with derision. As local MP says, it was the minor things that tenants had to deal with, not structural ones. Brixton was never a shithole 25 years ago and it was getting gentrified even at that stage. The fact you are using words like ‘Nairobi slum’ shows you up as a bigoted and most likely racist person. Agree that investment in an area, improving its amenities & reducing crime rates are a positive as are efforts to stamp out homophobia. All this said – gentrification should not result in long term residents being forced out of their businesses and homes.